Chic leather pouches to hold all your essentials. 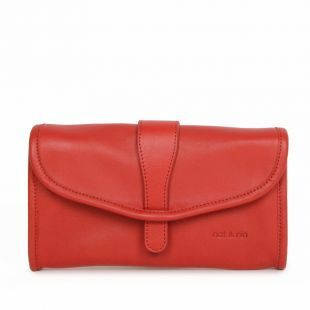 Slide it in your bag or tuck it under your arm… There's a slim chance you'll find something more versatile than this soft leather wallet-meets-clutch. This sophisticated makeup bag holds your essentials with a French flair. You look beautiful, darling!Fashionistas, this one's for you. The reptile texture, wavy shape, curved handle and stylized hardware are just the style accent you need to complete your look. Stylish leather pouches to hold all your essentials. Discover our collection of chic and stylish designer pouches, made with the highest quality Italian leather. Read more Nat & Nin is all about natural sophistication and a refreshing simplicity; a comfortable and romantic combination of Parisian vintage & modern style. 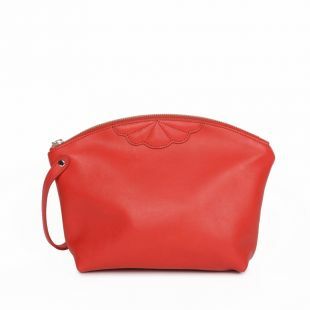 Since 2005, Nat & Nin have been designing handbags and leather pouches for women, from their atelier in Paris. Nat & Nin partners with tanneries which guarantee the origin and traceability of the leather, as well as compliance with labor rights.